After the pulping of a Wendy Doniger book, here’s another storm in publishing. This time it’s not over content perceived as offensive but over authorial rights. 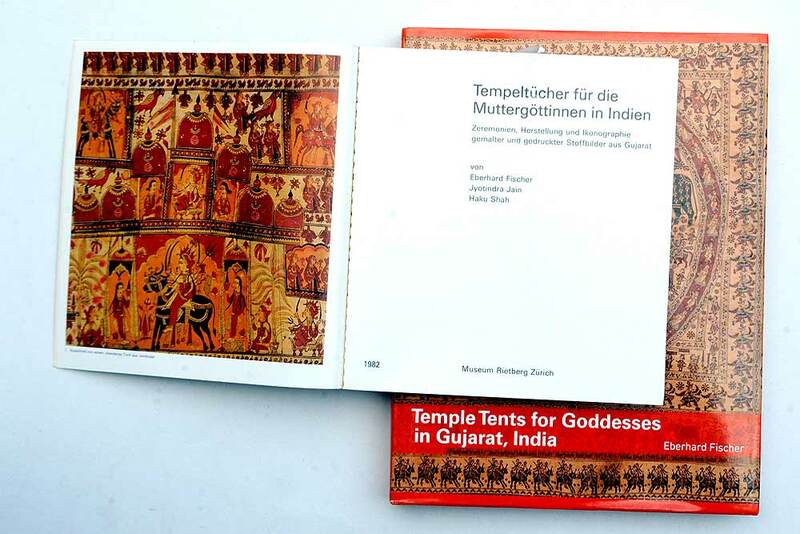 Tem­ple Tents for Goddesses in India, an illustrated monograph on the painted canopies used by the Devipoojaks and some other communities of Gujarat to create sacred spaces, was first publi­shed in German in 1982, with Dr Eber­hard Fischer, Haku Shah and Dr Jyo­­­­­t­indra Jain as co-authors. But the Eng­lish version that was published some months ago by Niyogi Books, Delhi—a near-replica of the original, barring some editing, an extra chapter, and the additional word ‘Gujarat’ in the title—makes no mention of Shah or Jain. It’s an egregious omission, for all three have impeccable credentials and such credit-sharing breaches are not exp­ected at that level of scholarship. Fischer is a former director of the Mus­eum Rietberg, Zurich. 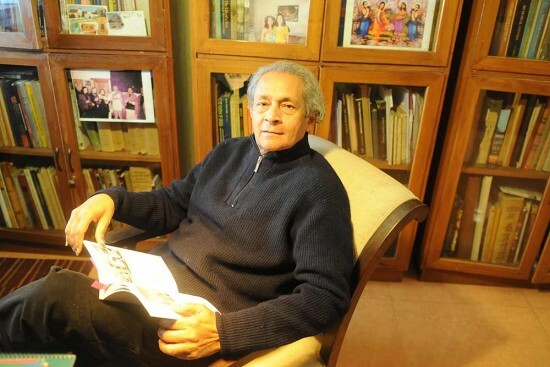 His association with aspects of Indian culture—tex­tiles, murals, miniature art and rel­­­ig­ion—runs more than four decades, and he’s among the few foreigners who have won a Padma award, a Padmashri for literature and education in 2012. Jain is a former director of the National Crafts Museum, Delhi. And Shah, a renowned artist who also set up a tribal museum at the Gujarat Vidyapith in Ahm­e­­dabad, is an expert on the folk and tribal arts of western India. 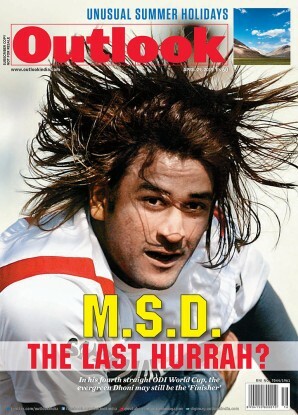 He too is a Padmashri. “This is a flagrant violation of intellectual property rights,” says Jain, who worked with Fischer for over five years on the original book. “I did extensive research on Gujarati and English texts on folk goddesses, recorded songs, documented the invocation ceremonies and the production of the fabrics used in the canopies.” Shah could not be reached for comment. Fischer did not respond to phone calls or e-mails. Doesn’t ignoring the contribution of Shah and Jain amount to plagiarism or at least misrepresentation of the work they have put in? “No,” says Bikash Niyogi of Niyogi Books. “We signed an agreement with Fischer and the Rie­tberg Museum when he was its director at that time. It was he who approached me and I can therefore work only on his instructions.” In fact, partial reparation has begun. After a flurry of e-mails between Fischer and Jain, the former agreed to ask Niyogi Books to stop selling copies that mentioned only him as the author and come out with a version that bears all three names. There has been no formal resolution, though, and Jain is certainly not satisfied with what has been done. He says it was agreed in January that the publisher would withdraw all copies from circulation, but so far only 30 have been retrieved, and if more than 500 are at large, the entire exercise is pointless. Another problem is that online stores like Amazon and Flipkart continue to sell the book bearing only Fischer’s name, something over which the publisher claims he has no control. “We’ve sent a mail to all dealers that copies have to be returned. The book has stopped selling for the last two months. But we don’t have a hand over online stores,” says Niyogi. Jain is galled at how Fischer wanted to resolve the whole issue “over a cup of tea in Switzerland”. He says that if all errant copies of the book are not withdrawn from all kinds of bookstores, he’ll take Fischer and the publisher to court. After all, it amounts to breach of trust, not a misunderstanding that can be set right with a tete-a-tete.